See what a difference the proper handling of your hardware can make!! Our customers know that their manufacturing investment is safe in our capable hands. With over 55 years of metal finishing experience, we will deliver your finished hardware done right and on time the first time, every time. Nadcap is an affiliate of SAE International. The complete list of 71 firms, as well as our 4-page Nadcap certification document are on our Approvals page. First, what is selective plating? It’s a method of electroplating a specific material such as nickel, copper, gold, silver, or tin onto a selected surface of the part without plating the entire part. This process is many times used for repairing mis-machined or worn machine parts. It’s also used as a tool for applying plating materials for surface modification, per blue print specifications, or engineering instructions. Each job is unique and requires careful determination of the selective plating directive. The correct masking is critical and many times close tolerances must be maintained. A variety of masking materials are available and customized masking techniques are utilized at Hudson Plating Works. If the part is an assembled piece, perhaps it cannot be immersed in the solutions and baths necessary for electroplating. This is where “brush plating” is a convenient method to achieve the selective plating that is needed. 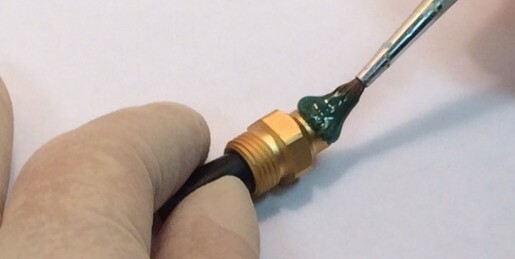 The process is accomplished with the use of an anodic dalic that is impregnated with the metallic solution, nickel, copper, gold, silver, or tin and “brushed” onto the prepared surface of the part. The thickness of the plating is achieved with careful calculation and applied current. 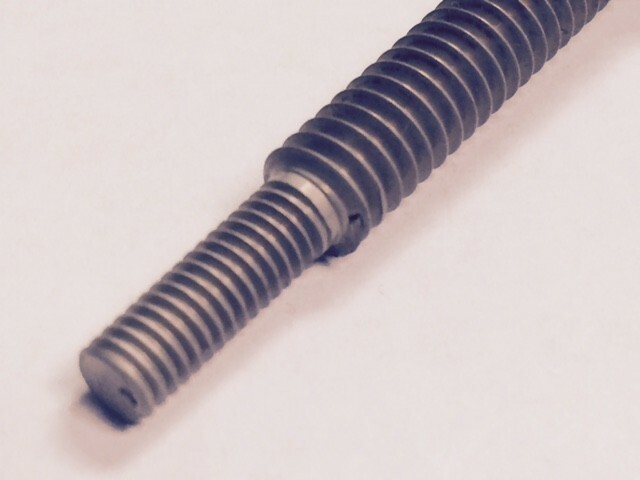 The end result is the selective plating applied only to the specified area of the assembled part. As you see, selective plating is a specialized process with demanding requirements. Hudson Plating Works has years of service in successfully achieving the most exacting selective plating assignments. Let us handle your most intricate selective plating needs. We’ll get it right, every time. Hudson Plating Works is a Nadcap Certified brush plater. We offer brush plating both at our Moorpark headquarters, or on-site at your facility in the Los Angeles area. When the component that requires brush plating cannot be transported to our facility for any reason…we will come to you. For example, a customer may need high quality brush plating on a rocket motor that is too exotic, large and fragile to be shipped. Hudson Plating Works has an extensive, highly experienced and creative masking department to meet your most demanding selective plating needs. When the blueprint specifies this requirement you can count on our Nadcap Certified facility to properly interpret your drawing and meet the requirement to the letter. Hudson Plating Works has many decades of experience with electroless nickel plating to the highest aerospace and military standards. We offer low, mid and high concentrations of phosphorous contents in the nickel deposit, depending on your needs and specifications. These options allow us to meet your requirements for hardness, corrosion resistance and magnetism. 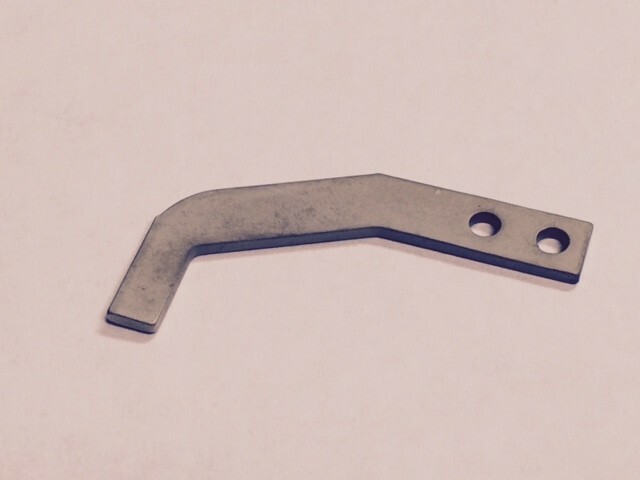 We also offer post-plating baking to increase the Rockwell hardness of the nickel plating above RC 65, if required. There’s nothing worse than looking at a newly plated part with peeling or blistered plating. It’s especially bad if you’re ready to assemble and ship to your customer. It can be an even bigger problem if the adhesion failure is not discovered until after assembly. Non-adhesion is a common reason for rejection of plated hardware. 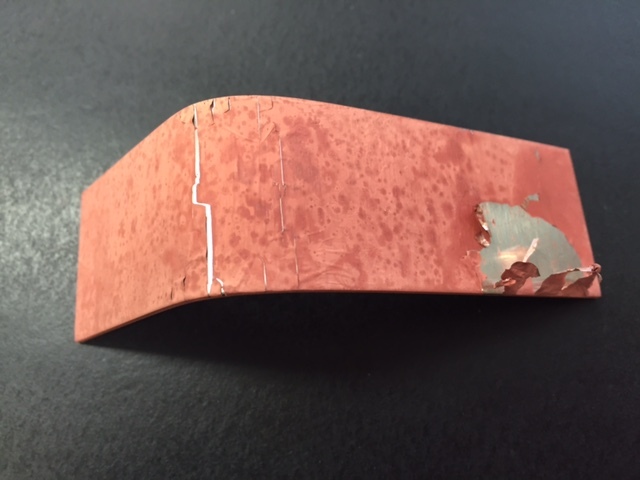 There can be a variety of reasons for adhesion failure. Many times the cause is insufficient cleaning before the plating process even begins. All plating processes start with several cleaning requirements; next is testing to verify the effectiveness of the cleaning. Only then can we progress to the activation process, and finally to the plating bath. Another source for the problem can be delays between immersion into the various process baths. If the hardware is allowed to dry between process requirements, an oxide or passivation may begin to form on some base materials. Or, perhaps the delay is caused by poor electrical contact in the plating tank. These issues can lead to ultimate adhesion failure. An additional cause of adhesion failure can be “secondary” processing. That is, testing or processes performed by an outside contractor that can degrade the plating and result in adhesion failure. Perhaps an environmental heat cycle or high humidity test, not provided for within the scope of specification, but required by an end-user. Or, maybe a soldering step using a temperature that adversely affects the plating adhesion. There are many different avenues that lead to a root cause of this failure. Conceivably, we now understand why the failure happened. 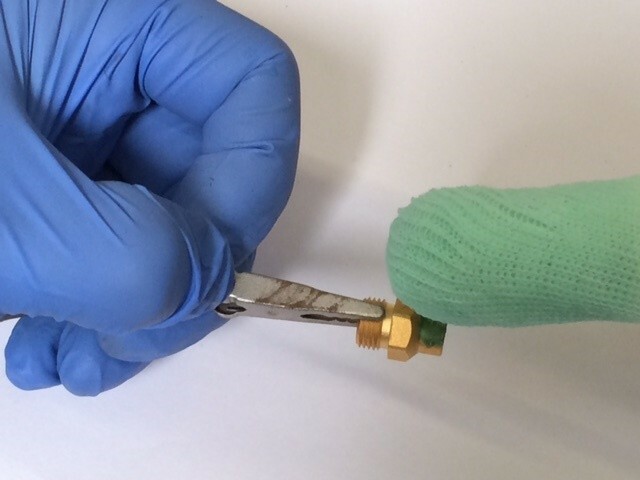 What can be done to prevent adhesion failure from reoccurring? As the customer, an important first step is the use of an accredited plating house. Certification to one of the many ISO or Nadcap programs is an essential starting point. Holding the accreditation provides assurance that the plating facility is operated at the highest quality level; that all baths are free of contaminants and at prime operating parameters. Another important step is communication, or flow-down, from the customer and within Hudson Plating Works. We perform a thorough statement-of-work for each job. During this procedure all questions are addressed by all departments. The Quality Department is charged with bringing together processors, preparation staff, laboratory staff, and sales staff. Together with input from the customer, all questions are adequately addressed. Only then is the job released for incoming inspections, processing, testing and finally packaging and shipping. It’s important to remember that providing as much information as possible regarding the plating requirements is invaluable. If the hardware is a new design or an exotic material, or maybe selective plating, it’s always a good idea to run a first article. A little R & D work can be crucial. Oh, and again, always use an accredited plater. That’s Hudson Plating Works! Nickel Plating is a versatile coating, available in both electro-deposit and electroless; with bright, semi-bright, dull or matte finish. Each type and finish has it’s pros and cons. It is critically important to use the correct type and finish for each application. That’s where we come in….helping you to specify the correct type and finish, and then plating your parts to the highest Nadcap standards of quality. Dull nickel plating is low stress (ductile), with superior machinability. Dull nickel plating is an excellent choice where solderability and very good corrosion resistance are required. A sulfamate nickel plating bath with no brighteners, levelers, or emulsifiers produces a dull finish and is excellent for high temperature brazing and solder applications. This 99.9% pure sulfamate nickel bath is one of several nickel baths available at Hudson Plating Works. Why do you need this unattractive sulfamate nickel finish? If you have a need for a decorative look, you certainly don’t want this nickel finish. This nickel deposit has a slight golden cast and will stain easily…not good for appearance applications! 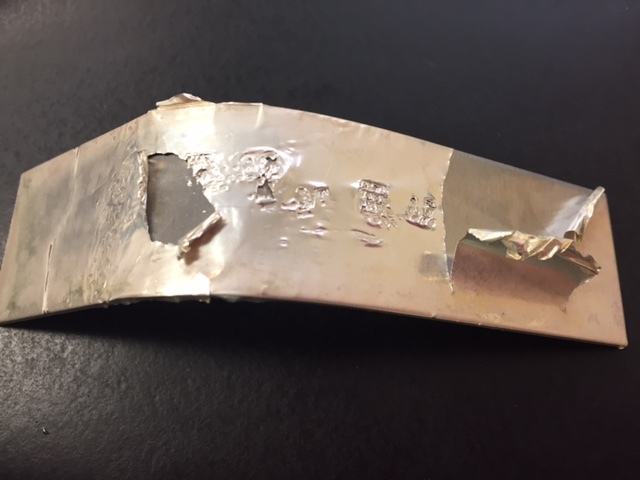 But, if you have a requirement for a “joining” operation such as brazing, soldering, epoxy bonding or welding, don’t take a chance with your nickel plating. Come to Hudson Plating Works for assurance of a contaminate-free, pure nickel deposit.